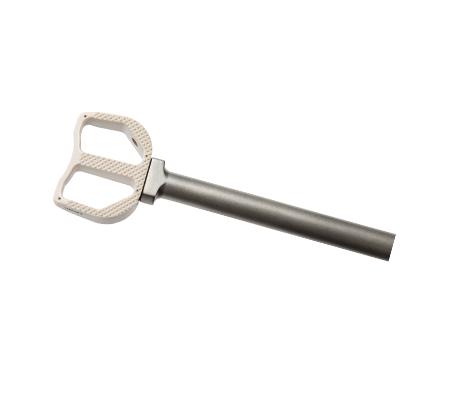 The Keystone anterior lumbar interbody fusion (ALIF) device is offered in three footprints to match patient anatomy. The posterior face is ramped to aid in insertion. Comprehensive instrumentation is provided to aid in distraction of a compressed disc space and endplate preparation.